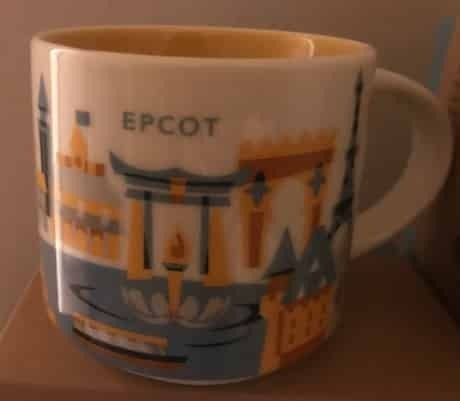 Disney You Are Here Mug Set with coffee will reflect your love of Disney World every morning. 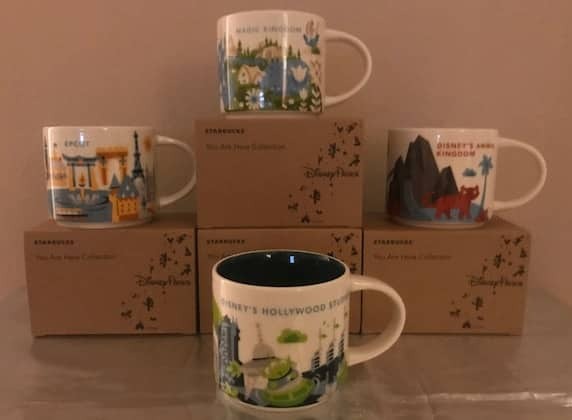 This You are Here set includes one mug from Hollywood Studios, Magic Kingdom, EPCOT, and Animal Kingdom. 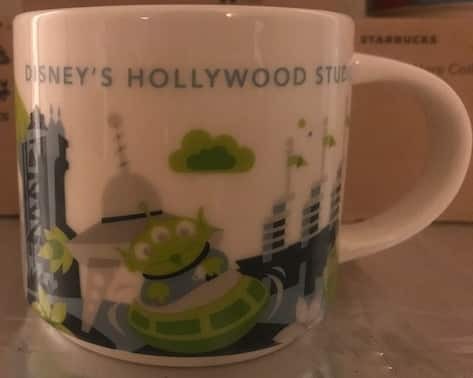 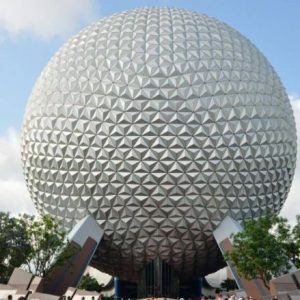 They are not sold at Disney Springs, and the only way to get them is to purchase them at each park. 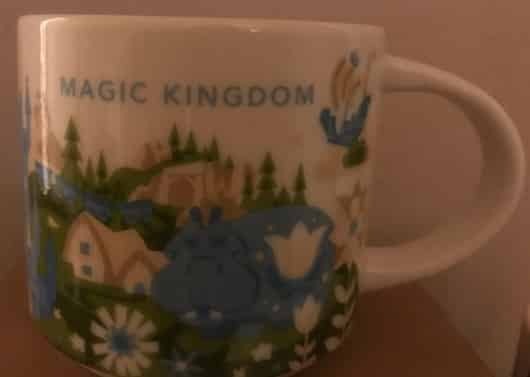 These unique mugs hold a very generous cup of coffee. 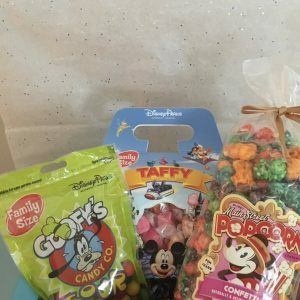 They are deep and wide, and have vibrant colors that will surely make them stand out at work. 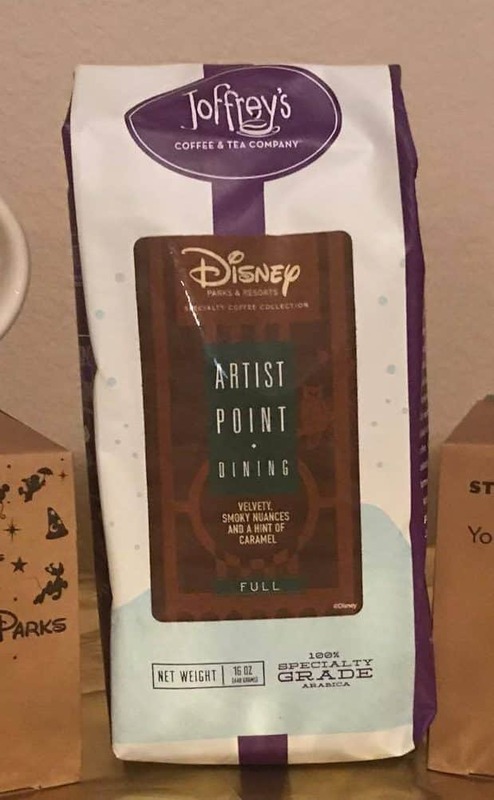 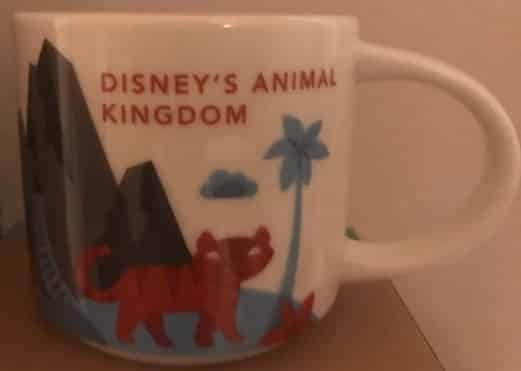 These make a great gift for the Disney/Coffee Lover. 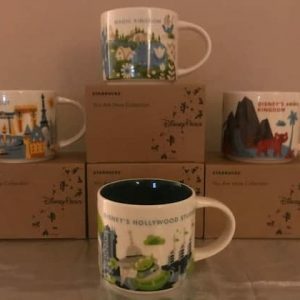 Disney You Are Here Mug Set with coffee with a random pound of Disney coffee or note your favorite flavor and we will gladly pack it (if still sold). 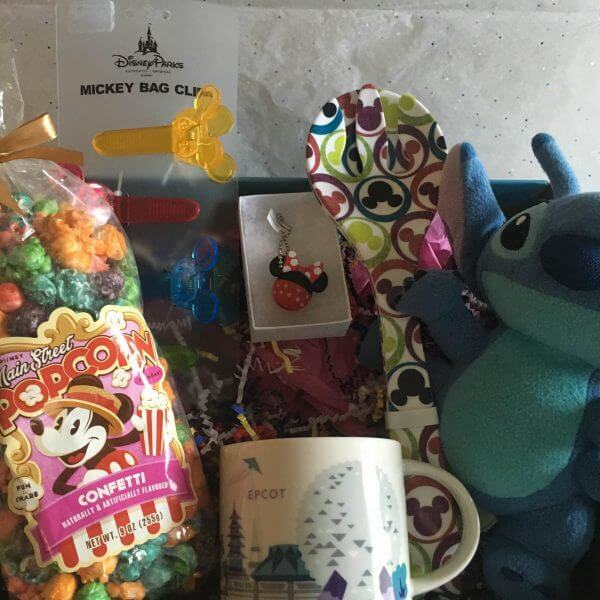 You Are Here Mugs are packed in the original box and shipped together in protective packaging to prevent breakage. 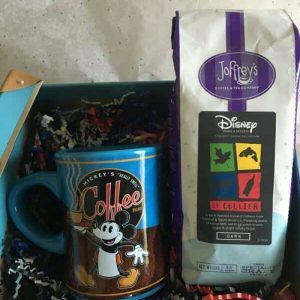 Combine your Disney You Are Here Mug Set with a monthly coffee lover’s subscription.